As a licensed marriage and family therapist in San Francisco, I hear often how Valentine’s Day was a disaster. Usually the holiday is so overhyped, it’s impossible for anyone to meet the expectations of their spouse. Usually women, but not always. While older couples were less likely to get upset about missed expectations, younger couples have much to learn. 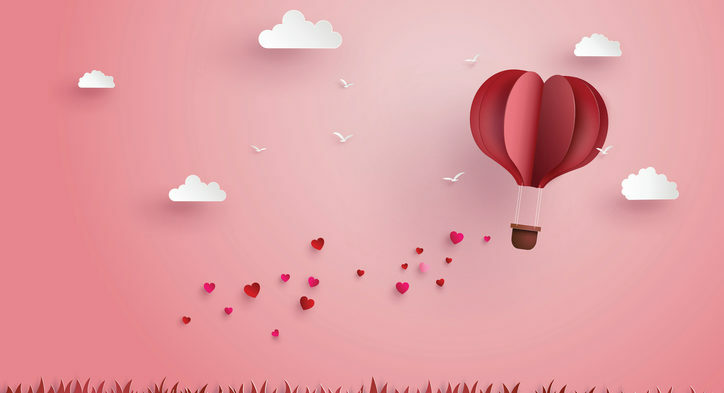 Valentine’s Day is one of the holidays like New Year’s, when having a date is almost required. In the age of social media and selfies we all feel more pressure to couple up on this day. The winter months – from the beginning of the holiday season in November to after Valentine’s Day has been termed “cuffing season” as many people who are casually dating, or not dating, suddenly feel the need to be in a relationship. The messaging we get from the entertainment industry, family, friends and social media – is that it’s somehow better to be in a relationship. Just look at the Hallmark Channel from Halloween to after New Year’s! It’s hard to ignore those messages. It’s difficult to see all those posts on Instagram of friends who have recently become engaged and are planning a wedding. The ads we see right before Valentine’s Day are filled with pressure to commit. That pressure ends up causing friction between couples who have different ways of showing their affection. While Bob might think pizza and beer on the couch with Mary binging the latest season of the Marvelous Mrs Maisel is romantic, Mary might have been expecting something very different. Mary might have wanted to go out to a fancy restaurant where reservations would have to have been made weeks or months in advance. Because Bob failed to think ahead, Mary doesn’t think he has the same level of affection for Mary as Mary has for Bob. Odds are, if Bob is binging the Marvelous Mrs Maisel with Mary, he has plenty of affection for her. You can see how the holiday has elevated expectations and without good communication is bound to create tension. Relationships, and marriage take skill to navigate. In the beginning of the relationship everyone is happy, in love and everything is awesome! But then life starts getting in the way. Bills have to be paid, children need to be tended to, parents may need more care and careers take plenty of time too. As a couple we want our partner to love us enough to know what makes us happy, and to provide it for us on these special days. However, that belief is usually erroneous. Couples who have been dancing this very nuanced dance know this and sail through these mine fields seemingly effortlessly (they have other challenges for sure, but these seem to resolve themselves after years together). If you’re hoping for a super romantic Valentine’s Day with your special someone, stop hoping and start planning. Don’t let unrealized hopes and wishes turn the day into an evening of fighting because your partner didn’t know you had these expectations. If you are the partner who doesn’t know in this scenario and you’re reading this do yourself and your partner a favor and ask them what they want and expect for the special day. As in all things, communication is key. Talk to your partner and set realistic expectations for the holiday. You both may have very different ideas of what the perfect Valentine’s Day is, and will probably need to compromise one way or another. The very act of communicating and compromising is an excellent way to work together and show each other how much you care.